I really look forward to the fall and football season every year. I love when the weather gets a little cooler and I can throw together a pot of chili or soup on the stove while I watch my team play. This past weekend was the first weekend I’ve actually had since football season started to actual do whatever I wanted and make some food. It has been beautiful and warm the last several days in the Philadelphia area so I haven’t been quite ready to break out the soup recipes. I had a open house at my place on Sunday so I did all of my cooking for the week on Saturday and decided that these Italian Sausage Hoagies would be perfect for watching a little football. Sweet turkey sausage, red peppers, onions and marinara sauce are combined and piled into hollowed out toasted hoagie rolls. 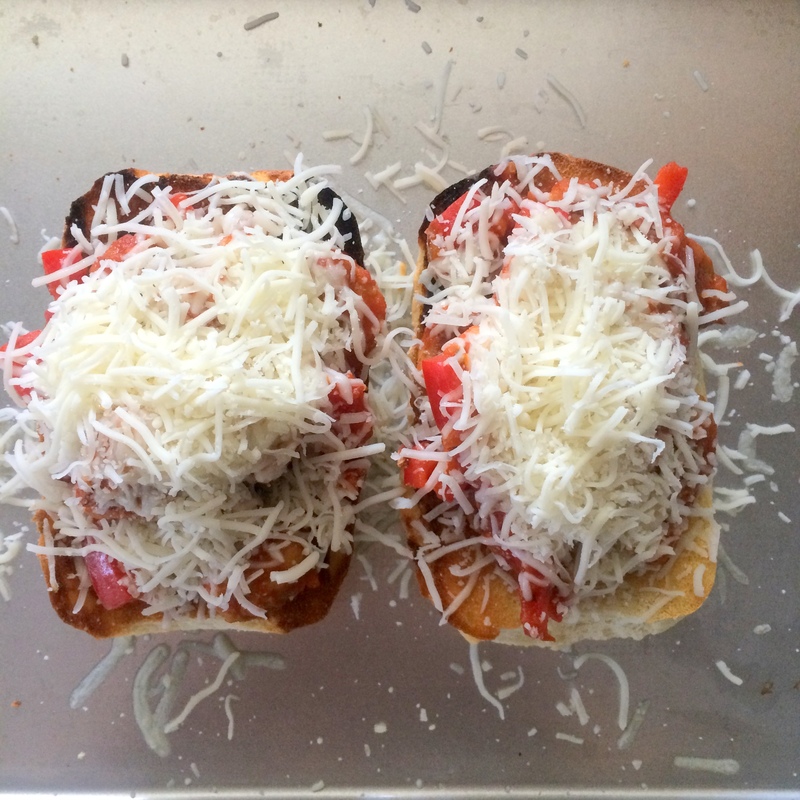 Shredded mozzarella cheese is added and the sandwiches are broiled until the cheese is melted and golden brown. It’s not often that I eat hoagies like this so this was a real treat for me. 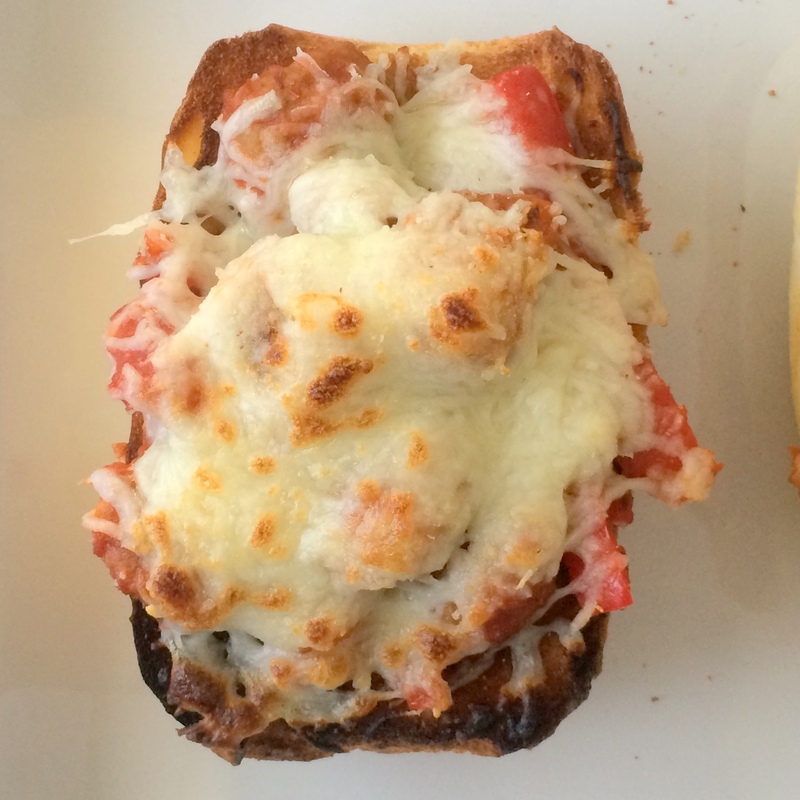 I even ate my leftovers as open-faced sandwiches which I liked even better. 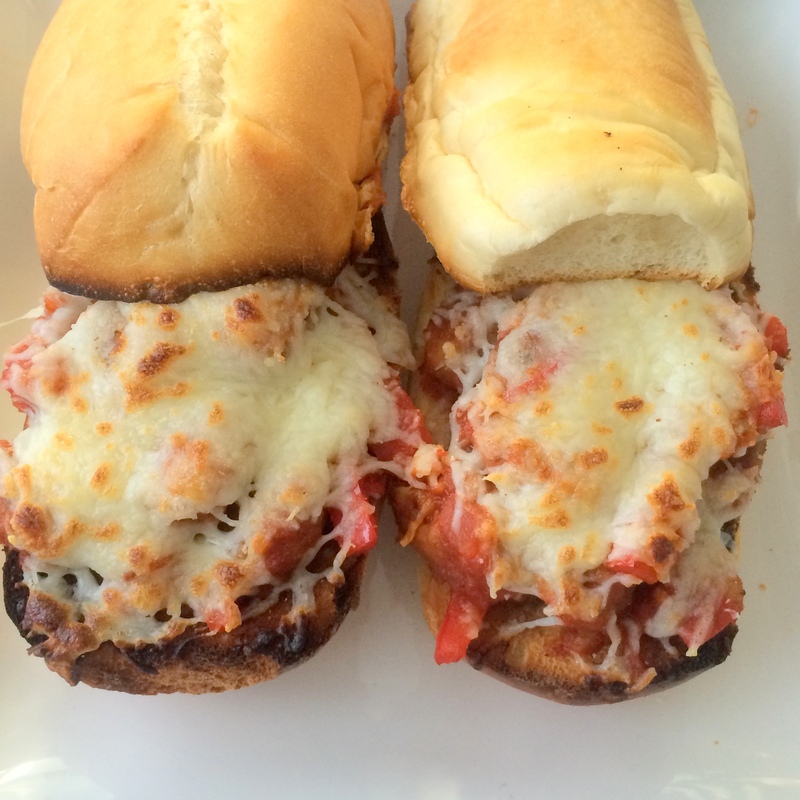 These sandwiches are so easy to make, healthier than your typical sausage hoagie, and perfect for a tailgate or game. Preheat broiler to high. Hollow out top halves of rolls. Arrange rolls, cut sides up, on a baking sheet. Broil 1 1/2 minutes or until toasted. Set aside. Heat a large skillet over medium-high heat. 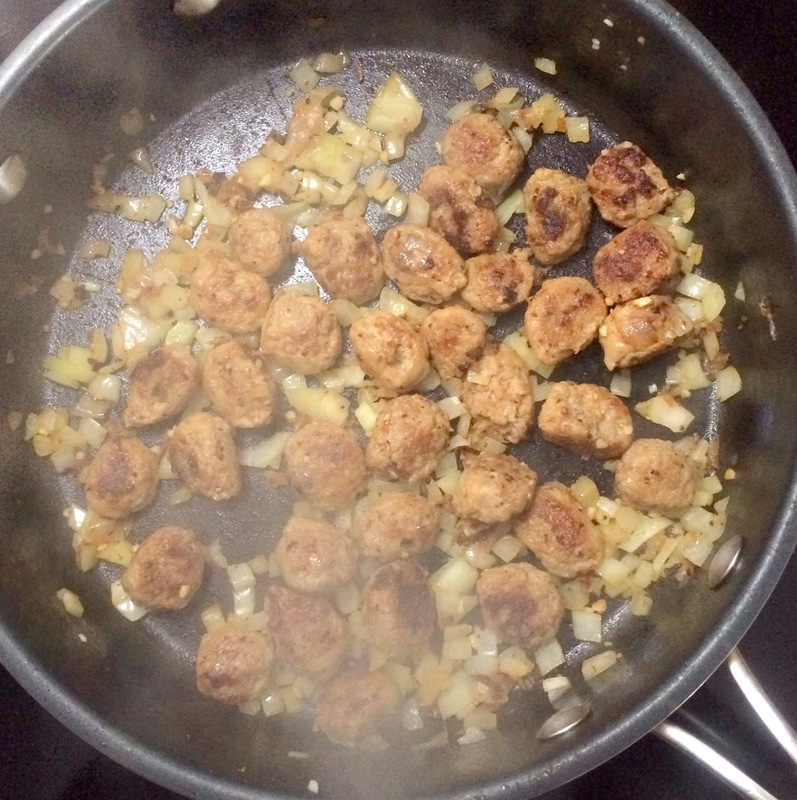 Add sausage to pan; cook 2 minutes or until lightly browned, stirring occasionally. Add onion and garlic; cook 1 minute. Add marinara, bell pepper, and black pepper; bring to a boil. 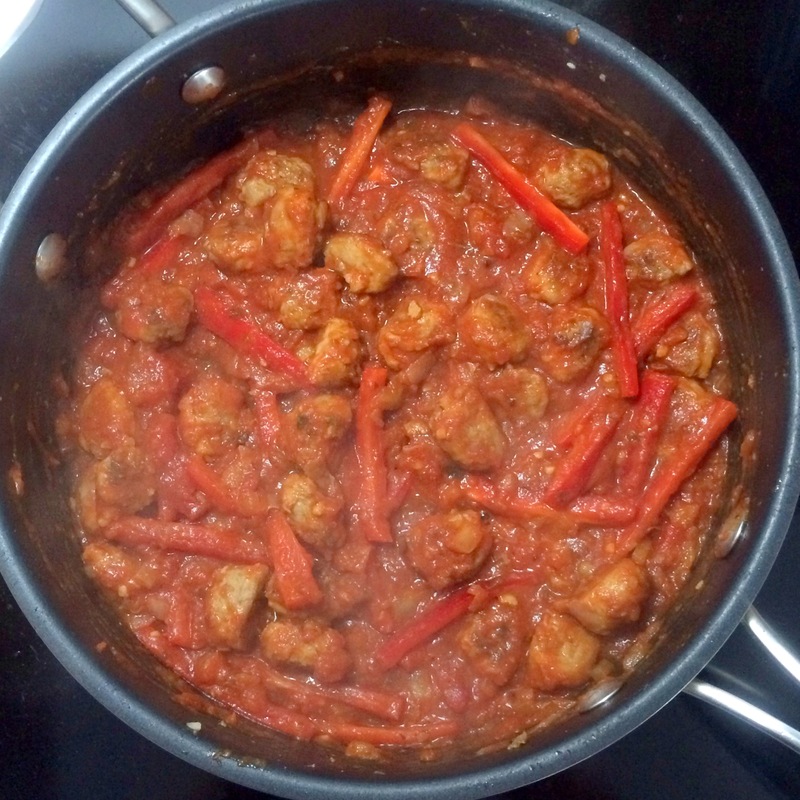 Reduce heat, and simmer 6 minutes or until bell pepper is crisp-tender. Arrange about 3/4 cup sausage mixture over bottom half of each roll; sprinkle each serving with about 2 tablespoons cheese. Place on a baking sheet; broil 2 minutes or until cheese melts. 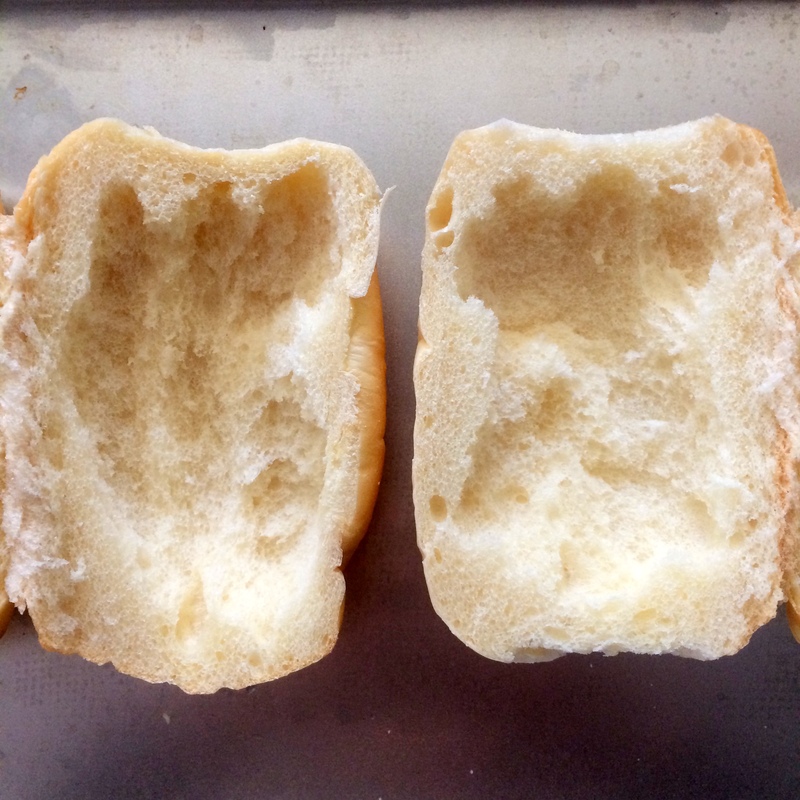 Top with top halves of rolls. 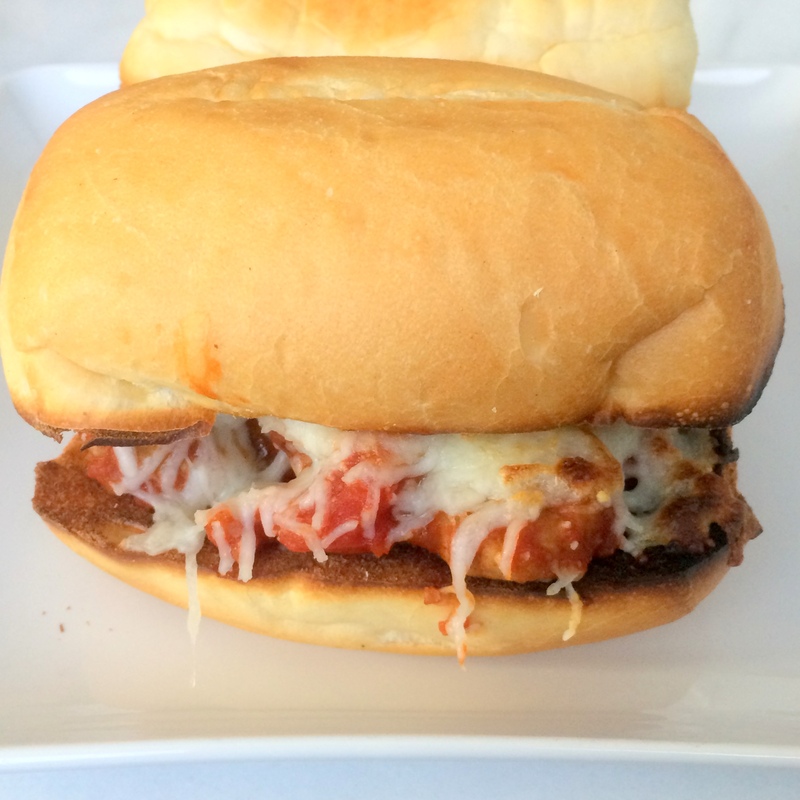 I crave eggplant parm subs all the time, but now I’m going to start craving this! !